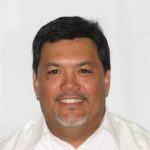 Mr. Kula was born in Hawaii and graduated with a degree in Electrical Engineering from the University of the Pacific in California. Dennis has started and acquired seven businesses, ultimately earning himself the SBA Young Entrepreneur of the Year Award. He leverages his diverse background of sales success and experiences in buying and selling his own business ventures to assist his client needs. His love of business ventures of all types brings a real world background in multiple business models to the negotiation table. Dennis specializes in planning business owner exit strategies and maximizing seller value in their transactions.